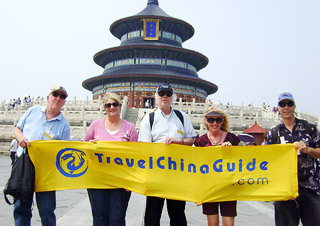 With essential parts like the Great Wall, Forbidden City, Terracotta Army with a guide plus some open free days for easy sightseeing in downtown, our itinerary is particularly designed for clients who are on a limited budget and enjoy a measure of independent travel with our professional suggestions. Upon your arrival at the Capital Airport today, our guide will expect you outside the Arrival Hall of the airport after you clear the customs. A comfortable drive will take you to the downtown district, where you will check in to the hotel. The rest of the day is free for you to rest or explore the city individually. Your guided visit this morning starts with the largest city square in the world, Tiananman Square, which is an important venue for many national celebrations. Stroll around the square and walk northward to today's highlight spot, the Forbidden City. As a masterpiece of an imperial palace in the world, it is a combination of palace construction, Chinese Fengshui theory and the feudal hierarchy of ancient times. Lunch will be arranged on your own. You may ask your guide to give you some suggestion about good restaurants. In the afternoon, you will visit the Summer Palace. As the largest royal garden, it earns its fame for the splendid imperial buildings, exquisite gardening constructions of corridors, bridges, pavilions and artificial hills, and beautiful natural landscape of mountains and lakes. In the morning, you will be accompanied to take an excursion to one of the greatest world heritage sites - the Great Wall at Mutianyu section. We have included the round trip cable car for you. You will see the solid wall, like a soaring dragon, winds its way up and down the rolling mountains, and also see the gorgeous landscape when standing on top of the wall. Lunch is self-arranged. Since the Great Wall is in a mountainous area, we kindly suggest you have a big breakfast at the hotel and take some fast food if needed. Or, you may ask your guide for some advice about a proper eatery for lunch. In the afternoon, we will transfer you back to downtown and pass by the Bird's Nest (Olympic National Stadium). If you are interested, you can ask the guide and driver to have a short stopover to take photos with the world-famous stadium from the outside. After that, you will spend time at the Temple of Heaven, which was a royal temple for the emperors of the Ming and Qing dynasties to worship for good harvest from 14th to early 20th century. One of the most important buildings is the Hall of Prayer for Good Harvest (Qi Nian Dian in Chinese), which was designed in harmony with the sky and ground. Today is free and we do not arrange any scheduled activity for you. Since the overnight train to Xian leaves in the evening, you will have a whole day free to explore the capital city on your own. After checking out of the hotel, you can deposit your luggage at the concierge of the hotel and then visit the Yonghe Lamasery, Imperial College and the Confucius Temple on your own. From the hotel, walk eastward for 40 meters and turn right to get into the South Riverside Avenue (Nanheyan Avenue), walk along the street for 200 meters and turn left, then go for 20 meters and turn left again to the East Chang'an Avenue, you will get to the Wangfujing station after few minutes. Take subway Line 1 (Si Huidong direction) for one stop to arrive at Dongdan station, transfer to Line 5 (Tiantongyuan North direction) , get off at Lama Temple station after 5 stops, exit from northeast of exit B, and then walk along the Andingmen East Street for 170 meters, you will get to the first destination, Yonghe Lamasery. If you prefer to take taxi, then the fare is around CNY17. But please note that the rush hour is from 7:00 to 9:00 in the morning and from 17:00 to 19:00 in the afternoon. Taxis are difficult to get during this period. After visiting the temple, you can go to south for 400 meters to the Imperial College, which was the highest educational institution in feudal times. Then you may continue to the Confucius Temple, which is just next to the college. For your lunch today, we would like to recommend Jindingxuan in the area, a well-known restaurant with 24 hour service. After that, take subway Line 2 at Lama Temple station and get off at the second stop (Gulou Street Station). Then walk for 990 meters to Houhai area and experience the old history and special culture of Hutongs by rickshaw or on foot. After several minutes walking, you will get to the Skewed Tobacco Pouch Street (Yandai Xiejie), go through the street and take bus No. 82 or No. 60 at Drum Tower Station to get back to the hotel. Please get off at South Riverside (Nanheyan) Station and keep moving for 40 meters, then turn right and go on for 40 meters, the hotel is on your right side. After fetching your luggage, you can head to Beijing West Railway Station to catch the overnight soft sleeper train to Xian. Since it is not convenient to go there with your heavy luggage by subway or bus, we suggest you take a taxi and the fare is about CNY24. Compared with a hard sleeper, the soft sleeper is much more comfortable with a private compartment which can accommodate four people. However, we would like to suggest you prepare some snacks for dinner to avoid having the low quality food on the train. Moreover, due to the space limitation in the compartment, we would like to offer you some compulsory advice about China train baggage allowance for your information. 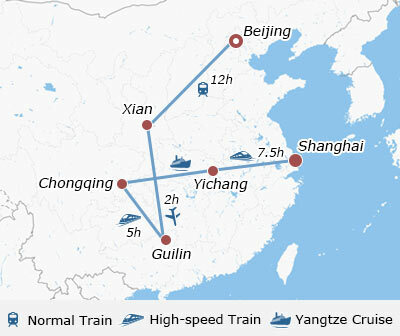 The train journey takes about 11 hours and you will arrive in Xian at around 08:00 in the morning. Your local guide will meet you at the railway station and transfer you to the hotel. Breakfast is not included and fast food restaurants can be found very easy nearby to your hotel. This morning, you will visit the Terracotta Warriors and Horses Museum, which is known as the eighth wonder of the world. In the three excavated pits, you will see over 7,400 pieces of warriors and horses of distinct facial expressions and positions. The Bronze Chariots and Horses and weapons exhumed here are among the best bronze wares in the world. There is no lunch offered today. As the sightseeing spot mainly has tourist restaurants, you can get suggestions from your guide if necessary. Then continue to visit the Shaanxi Provincial History Museum. As one of the first batch of national 4A level scenic spots, it attracts many tourists from home and broad, relying on its perfect displays, elegant environment, qualified service and good order. There are basic theme and temporary exhibitions to introduce the historical essence of Shaanxi from various angles. Then next stop is Xian Museum and the Small Wild Goose Pagoda. Unlike the magnificent Big Wild Goose Pagoda, the Small Wild Goose Pagoda looks pretty and exquisite. With a height of 43.4 meters, the thirteen-storey pagoda is not only a 1,300-year-old well-protected ancient structure, but also a masterpiece of Buddhist architecture. The activities in Xian today will be arranged on your own. After checking out of the hotel, please walk southwards to get to the South Street, keep going along the street for 520 meters, you will see the South Gate in front of you and find the tickets office of the City Wall very easily. Embosomed by broad deep moat and dense woods, the time-honored City Wall was built in the early Ming Dynasty, so it has seen the great development of the city over the past 600 years. You can also rent a bicycle and have a unique ride on the wall. Then walk along the South Street back to the city center, where many big shopping malls located around, such as Xi'an Kaiyuan, Minsheng, Parkson, Century Ginwa, Ocean Department Store and other bustling shopping streets. You can also find many restaurants standing along the street. Or, walk to the west from the Bell Tower for about 500 meters to the Muslim Street, which is a good place to taste the local foods and buy souvenirs. Getting out of the street and walk across the road, you will get to the Melody Hotel, where you can take the Express Line 1 to Xian Xianyang International Airport for your afternoon flight to Guilin. The bus is available every 20 minutes and the bus fare is CNY26 per person. Please make sure that you get on the bus 2.5 hours prior to the flight departure. 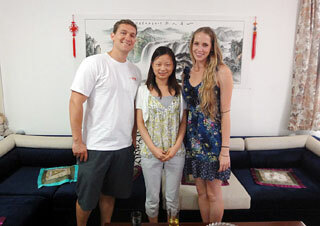 After the flight lands in Guilin, your local guide will meet you at the airport and transfer you to the hotel. Another highlight of your journey comes today - you will cruise down to Yangshuo along the Li River, where you will see picturesque scenery of limpid water, elegant hills and green fields all the way. We will only reserve the cruise ticket and transfer you to the pier today. Then the following activities will be all handled by yourself. The most famous attraction along Li River is the Mural Hill, one side of which is blazoned with yellow, white, black, grey and green colors, resembling nine horses in various poses. The cruise journey will last about four hours. Upon arrival in Yangshuo Shuidongmen pier, please get to and check in at the 4-star New Century Hotel, which is not far away from the dock. After settling down, you can take an electric car along the country road to enjoy the beautiful and serene scenery. Nearby the hotel, there are Yangshuo Park and West Street for you to wander around and eat something or drink coffee leisurely. For your information, you can also take an electrical car to Lijiang Theater from the West Street to enjoy the “Impression Sanjie Liu”, which is a famous show directed by Zhang Yimou and highly recommended by a lot of tourists. Tips: Since the simple Chinese box lunch served on the cruise today is less satisfactory, it is advisable that you have a hearty breakfast at the hotel in the morning. After breakfast, please check out of the hotel and make your own way back to Guilin city. You can take a bus at Yangshuo Bus Station, which is just located beside the West Street. The Bus tickets can be purchased on the spot at the station, and the bus runs about every 20 minutes. It will stop at Guilin Railway Station, from where you can take bus No. 10 or No. 11 and get off after 5 stops (Jiefang Bridge Station). Then walk for 40 meters to the Hotel Universal we have arranged for you. After a short break at the hotel, we would recommend the nearby attractions for your own exploration. First, you can walk to Fengqingyuan Station and take bus No. 58 to visit the Reed Flute Cave (the fourth stop). After that, take the same bus return from Reed Flute Cave Station to the Seven Star Park (five stops), where you can see gorgeous karst caves, splendid mountains, clear water, a serene valley and ancient bridges, temple and stone tablets. The bus No. 58 also takes you to the Elephant Trunk Hill, which is the emblem of Guilin City. It will be memorable to take photos in front of the huge elephant. Since the Elephant Trunk Hill is very near to your hotel, you may walk back after the visit. This morning, you will head to the Guilin West Railway Station for a 5 hours' bullet train journey to Chongqing by yourself. From the hotel, you may walk to Lequnlukou Station and take bus No. 22 to the railway station. The bus fare is CNY 2 per person. Alternatively, you are also recommended to get to the railway station by taxi directly and the fare is around CNY 35. After arriving in Chongqing, your local guide will expect you at the railway station and take you to have a brief city travel of Chongqing. Your first stop is Jiefangbei CBD - a busy street with modern shopping malls and snack bars where you may take a walk and relax yourself from the tiring train trip. 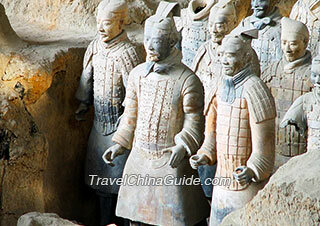 Then you will visit Ci Qi Kou (Porcelain Village), an ancient village not far from downtown. You will find many teashops, outlets for craftwork and groceries in the Ming and Qing-dynasty Style Street. 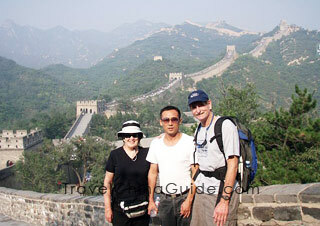 Afterwards, our guide will transfer you to board the Yangtze River cruise ship. As the cruise sails at 22:00, your wonderful cruise experience starts. Around 14:00, you will disembark and visit Shibaozhai of Zhongxian County. Located near the north bank of the river, Shibaozhai is famous for its unique wooden architecture and many interesting legendary stories. It attracts millions of visitors from home and abroad for its beautiful sceneries and rich cultural background. When embarking again, you will have the rest of the day to walk around the deck and appreciate the gorgeous landscape along the river. Tonight, there will be a Captain's Welcome Party inviting you to participate. 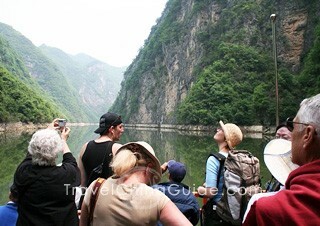 Today you will experience the most memorable part of your Cruise - the unique scenery of the three gorges. Ranked among the top ten resorts, the three gorges are reputed as a landscape gallery. You will see the shortest but the grandest Qutang Gorge, the Wu Gorge with lofty peaks and mountains, and the longest and most elegant Xiling Gorge. When sailing to the border between Qutang Gorge and Wu Gorge, you will take an exciting adventure along Shennong Stream. You will sit on the special wooden boat and drift along the winding stream. Picturesque scenery of grotesque rocks, clear water and verdant plants as well as the trackers' folk songs will accompany you all the way. The final onshore excursion is to visit the Three Gorges Dam, the largest hydropower project in the world. In the scenic area, you will see the gigantic dam and learn about the culture of engineering and water conservancy. The natural landscape there is very impressive. After that, your cruise experience will end as they will transfer you to the Three Gorges Tourist Center in Yichang city, where our local guide will meet you and transfer you to Yichang East Railway Station to take a 7.5-hour bullet train to Shanghai. Upon arrival in Shanghai, you will need to find your own way to the hotel we booked for you. Please note that you may arrive at either Shanghai Railway Station or Shanghai Hongqiao Railway Station. The taxi fare from Shanghai Railway Station to the hotel is about CNY20, while the fare from Hongqiao Railway Station is about CNY70. Or you may take the subway Line 1 (Xinzhuang direction) at Shanghai Railway Station and get off at the Hanzhong Rd. Station. Exit from Exit No.4 and then walk to the hotel. From Hongqiao Railway Station, you can take subway Line 10 (Xin Jiang Wan Cheng Direction) and transfer to Line 12 at South Shaanxi Road Station. The subway Line 12 will take you to Hanzhong Road, from where Golden River-view Hotel is about 500 meters away. We leave the whole day free for you to explore this prosperous city at your own pace. In the morning, we recommend you to visit the Yuyuan Garden, the Bund area and Nanjing Road. You may walk to the Hanzhong Road Station to take subway Line 12 (Jinhai Road direction) and get off at Tiantong Road Station after 2 stops, then transfer to Line 10 for two stops. After getting out of the Exit 1, walking for 150 meters, you will arrive at the Yuyuan Garden. The taxi fare is around CNY23. 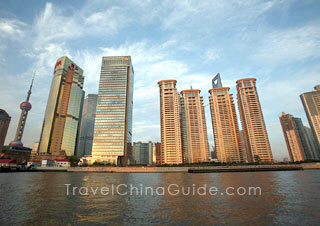 After that, go ahead to the Bund area along the Huangpu River by taxi and it costs about CNY14. You can also get there on foot in half an hour as exploring the nearby old market. Standing on the Bund, you will see totally different scenes on the two banks of the river: on the east bank, rows of modern skyscrapers demonstrate the city's development; while on the west, the old-style western buildings tell you its glorious past. Move on to north from the Bund, you will get to the famous commercial street Nanjing Road. Take your time to stroll along Nanjing Road to Nanjing East Road and enjoy your lunch at a restaurant on the way. From the road, you can take subway Line 10 to Xin Tian Di (Exit 6). The taxi fee is around CNY20. This is a very famous and popular place for young people. You can also sample some tasty food or just have fun at the bars there to spend an exciting evening. For your information, the taxi fare from Xin Tian Di to your hotel is about CNY26. We do not offer any service today and you will need to arrange the transportation from your hotel to the airport by yourself. You may follow the same way back to the airport by taxi or subway as we've suggested for you the day before yesterday. Should you take subway Line 2, please notice that the two airports are in opposite directions in Line 2, eastwards to Pudong Airport and westwards to Hongqiao Airport. If your flight leaves late, you can deposit your luggage at the front desk of the hotel and stroll around on your own. We hope our 24/7 service provides you a pleasant trip! Do you mean the Changsha Mosque nearby the Helong Stadium in Hunan Province. Ji Hotel on the Furong Middle Road, Vienna Hotel on the Renmin Middle Road or the economical Wisedom International Hotel (Changsha Wuyi Square) , each hotel is close to the Changsha mosque, less than 1 km. What is the average time it would take to clear immigration & customs in PVG ~3pm midweek? How early should we plan to arrive at PVG for 11pm international flight? Usually, it takes about 2h for all the procedure. Thanks. I guess head to airport 3.5 hrs early then in case of traffic for international departure. I'll have to review the train times then as I was hoping it would be around an hour to get thru immigration and customs after arrival like in other major airports. Hi, I try to find a way to travel from Xingyi to Guilin. There is only 1 train leaving at 2 am and arrive the next day, and the train is fully booked. Please advise is there the bus from Xinyi to Guilin? If no, is there any other choice to travel to Guilin ? take a long-distance bus to Guiyang Jinyang Bus Station at Xingyi West Bus Station. Buses are scheduled from 07:30 and 18:30. It shall take around 5h. Then go to Guiyang North Railway Station and take a high speed train to get there in 2.5h. 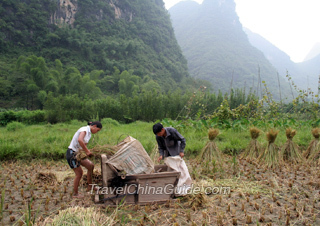 Is there a four nights Yangtze River cruise? 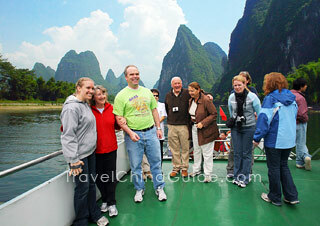 Is there a 4 night Yangtze River cruise adding extra night? If there is where does it go? Yes, there is. 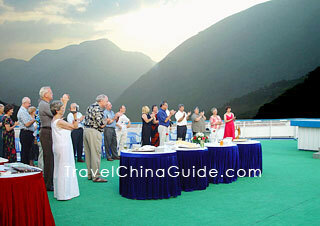 The 4-night cruise is the upstream cruise from Yichang to Chongqing. Passengers will stay on the ship in Yichang for the first night and the ship will set sail in the early morning of the next day. Is it possible to stay in an all female cabin for the train? I noticed that we will take an overnight train to Xi'an, is it possible to stay in an all female cabin? In China, the train tickets are issued sequentially, so the specific seats can not be ordered and assigned in advance. You may have chance to stay in the same cabin, but there is no way to get any information about other clients.